If you’re attempting Dry January then you are half way through – and I applaud you! But how does one treat oneself if one can’t do it with a comforting glass of wine after a hard day at the office? Well, I might just have the answer – a decadent afternoon tea could be just the ticket, (so long as you’re not cutting out sugar and caffeine aswell..). Local to us at Davis Brown estate agents in Fitzrovia we have a couple of fantastic places where you can indulge your sweet tooth to the max, and where no-one cares how you pronounce “scone”! The Sanderson Hotel – a 1950s building that was transformed by Philippe Starck into a surreal Cocteau-like dream world, offers an afternoon tea experience that the elite of London are raving about. 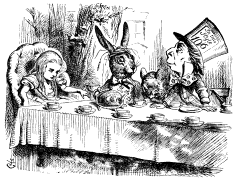 It invites you to tumble down the rabbit hole where menus are hidden inside vintage books; teapots are adorned with kings and queens – a Mad Hatters Tea Party no less, what a delight for the senses! The world famous British department store Fortnum and Mason in Piccadilly offers a more classical afternoon tea; more than 100 different blends of tea are available, served in silver-rimmed delicate blue china cups. Sup at your leisure while the pianist tinkles away on his ivories –for that touch of sophistication. If your companion isn’t abstaining this month they can always have a glass of bubbly with their tea! Alternatively, you’d be very welcome to pop in and see us and Davis Brown estate agents in Margaret Street, Fitzrovia, where you will always be made the perfect cup of tea served up with a smile, and a dollop of insight into the current property market! A Round Up Of 2015 – Davis Brown Residential Departments Best Bits! Following on from our round up of the commercial department’s year, we couldn’t possibly have told you Davis Brown’s ‘Best Bits’ without mentioning our residential team in Fitzrovia. Emma and Sarah-Jane have let more properties in 2015 than any calendar year previously, including some stunning interior designed properties, new build town houses and compact suites. 2015 started with a busy January, following an increase in new instructions in the West End, including Covent Garden, Fitzrovia, Soho and Marylebone. One of favourite properties was unique loft apartment with a large mezzanine floor which overlooked and had direct access onto a charming roof terrace. The property was snapped up fast and became our first let of 2015. Our tenants have just renewed for another year until January 2017. February saw the sale of two flats in Fitzrovia both of which had short leases and our Chartered Surveyors in London have since been instructed to negotiate the extension of the leases. February also brought our residential design team instructions to refurbish and interior design a portfolio of flats in Bloomsbury , Covent Garden and Fitzrovia. One of the flats was based in in the period mansion block, Queen Alexandra Mansions in Bloomsbury and had a complete makeover on a budget, with a new kitchen, bathroom and décor throughout and let almost immediately after coming onto the market at the full market rent. Keep an eye out on our website for our other properties which will be coming to the market soon. With the run up to the general election, the Spring market was surprisingly busy for our estate agents in W1 and we widened the areas we covered with new instructions in Bayswater, Clapham and Islington. Our residential lettings negotiator, Sarah-Jane managed to let a two bedroom apartment on Hatherley Grove in Bayswater, a garden flat on Clapham Common Northside and a studio flat in Charing Cross in one day – making it….. . We had a number of one and two bedroom refurbishment opportunities in Notting Hill with long leases which were attractive to buyers and all sold in excess of the asking price. 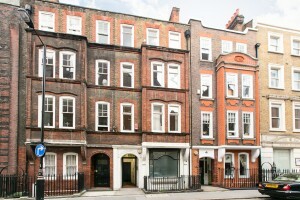 We were fortunate enough to market an exciting development opportunity in Bourlet Close in Fitzrovia in July and August. 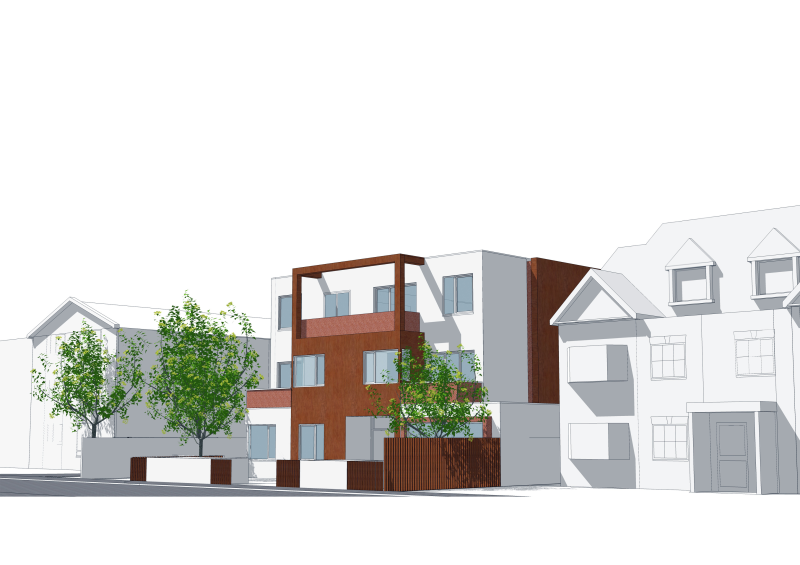 With planning permission for a full residential scheme, the property attracted developers and owner occupiers alike. Best bids were invited for the freehold interest and we achieved in excess of £10 million making it one of the biggest on-market property sales of 2015. September and October are traditionally busy months in the rental market, with an influx of students arriving in London for the new scholastic year. The estate agents in W1 were pleased to offer a portfolio of 10 new rental properties in areas such as Fitzrovia and Covent Garden. One of our favourites was a stunning two bedroom split level apartment on Goodge Street, with features such as wooden floor throughout. We also had two beautifully finished one bedroom apartments on Conway Street and Fitzroy Street, decked out with stylish and sleek furniture, these two let in just a few viewings each – dressing your property to let really does make a difference!! Our last let of 2015 was on Carlisle Street. 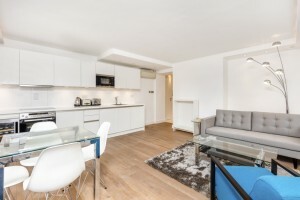 This beautiful second floor flat, with modern interior and features such as surround sound throughout, is the perfect pad in the heart of Soho. The new tenants moved in on the 20th December and were delighted to be in their new place for Christmas. 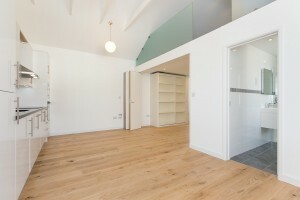 For those of you that like the look of this flat, we have the top floor flat above coming available in January! Davis Brown estate agents have had a fantastic year, letting properties all over London, from Fitzrovia to Marylebone, Covent Garden to Islington and Clapham to Soho. We have got lots of exciting properties coming up in 2016, so keep in touch with either Emma or Sarah-Jane to stay up to date on all of our latest properties. Well that’s it! No more Christmas jumpers, mulled wine or mince pies – the festive frivolities are done and dusted for another year. Every last piece of decoration came down on Tuesday – or did they? And why should they? Well, those are the questions! 5th January is the Twelfth Night (of the twelve days of Christmas), and according to the Church of England the twelfth night refers to the night before Epiphany, which was the day the Three Wise Men visited the baby Jesus (you’ve always wanted to know where that word really came from didn’t you?!). It’s also been a tradition since Victorian England to celebrate this time of year by taking down the evergreens and lighting a bonfire (or putting away in it’s box if you have a fake one!). If you happen to have forgotten and your decorations are still up then you must keep them up until the Twelfth Night next year – or a goblin may come and spill milk on your carpet – was one superstitious story I heard…. We here at Davis Brown Estate agents in Fitzrovia, Soho, have followed with tradition and our beautiful office decorations came down on the 5th, however if you would like to visit our very own wise men and women (who incidentally are here all year round and not just at Christmas), we would be very happy to help you out with your new year property search. A Round Up Of 2015 – Davis Brown Commercial Departments Best Bits! The Commercial department kicked off 2015 with two sales outside of London. Our commercial department like to stretch themselves not just over W1, London, but as far as their client requests. Their first sale of year was Merevale House in Tunbridge Wells – an office block perfect for investors, which boasted a good income from a government tenant. The team’s next sale was in Watford, North London. 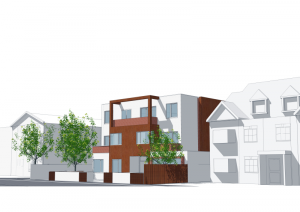 Dean Wace House was being sold as a development opportunity, a property ripe for demolition sitting on a plot with planning consent for five one bedroom flats, four two bedroom flats, as well as ground floor commercial space. As commercial agents in Fitzrovia, we know how much of a hassle planning permission can be to obtain, so it’s no wonder that this property proved popular with developers looking to get their teeth into a nice, straightforward project! As summer approached, new commercial instructions sent our W1 based office phones into a frenzy. Our commercial team were honoured to be asked to sell No.10 Stratford Place, Marylebone. This stunning Grade II listed building dates back to the early 1770’s and has kept much of its original character and charm. Spread over six floors, with over 7,800 square feet of floor space, 10 Stratford Place was a true rarity on offer in today’s market. 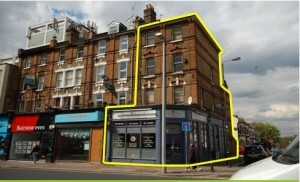 To make things all the more exciting, this was the first time that the freehold interest had been for sale since 1931. We set a deadline for offers and the bids came in thick and fast. The team were thrilled to complete on the property at a final sale price of well in excess of the £10 million asking price! The commercial team found themselves travelling here there and everywhere – dashing down to Battersea on a regular basis to show an investment on Lavender Hill, and across to Dagenham for a plot of land we had for sale! Continuing the trend of successful sales, they were pleased to find that both the investment and land sold for well over asking price. In between touring the country for the commercial department, the commercial team also spent some time working with our Residential Sales team on a couple of exciting projects. However this property wasn’t quite as far as some of their previous instructions…in fact it was only two doors down from Davis Brown’s offices on Margaret Street, Fitzrovia! For sale was a freehold conversion / refurbishment opportunity with planning consent, in the form of a four storey terraced townhouse, currently used as offices. This prime central property proved to be popular. Achieving well over the asking price, both our commercial and residential teams were very pleased with this result on our home turf, Fitzrovia. Davis Brown commercial agents in W1 are kicking off 2016 with best bids in on the 15th January for The Old Dairy, Kilburn Lane – once a recording studio for the likes of Adele and U2! Book in your viewing to make sure you don’t miss out in the New Year! With exciting new instructions coming up in the New Year, keep in touch and we’ll make sure you’re the first to find out! I pick up my morning coffee at Kaffeine on Eastcastle Street (one the best coffee shops in Fitzrovia I might add), before I meet contractors and our Head of Management on site at some offices we have recently let on Great Portland Street. We have had complaints from other tenants about the noise as they sand the floor and we therefore need to manage the expectations of both parties and inform the other tenants. Thankfully we come to an agreement. I next take a short walk over to see a property close to Harley Street with one of our Graduate Surveyors on behalf of a client who has instructed us to acquire investment commercial property. As a firm of Chartered Surveyors in London we cover a range of property and it is a good opportunity for our Graduate Surveyors to learn all aspects of surveying and commercial agency work. After finishing the inspection we walk back to our offices in Margaret Street to write a report for our client, recommending that they view the property. Our weekly Commercial Agency team briefing is next on the agenda. We meet for a quick bite to eat at one of the cafés or restaurants on Goodge Street where we discuss new developments, investments and potential on and off market properties. Our commercial property agents cover all areas of London and we regularly keep up each other up to date about our core areas such as Fitzrovia and Noho/Soho. It’s also a great opportunity for us to arrange access to properties early and get a foot in the door for our retained clients to see new opportunities in London before many others. This afternoon my first job is to inspect a property on behalf of a landlord on Wells Street, W1 with one of our building surveyors to assess what works are required by the outgoing tenant for our surveyors to complete a Schedule of Dilapidations. With the outgoing tenant on a Full Repairing and Insuring lease, it is paramount that we inspect the premises thoroughly to ensure the landlord and their property are protected and the premises is given back to us in a good state of repair and redecoration, ready to be put on the market to let as soon as possible. The inspection went well and the outgoing tenant was very accommodating. I get back to our offices on Margaret Street and put my “tenant” hat on. This particular tenant came across Davis Brown online and they contacted our commercial agency department to help with a rent review their landlord has served on them. The rent has doubled and no comparables have been supplied to support the landlords rental increase. As a commercial agent one of my roles is to search for comparable evidence in Fitzrovia, W1. Commercial agents are fully aware that rents in Fitzrovia and surrounding areas such as Soho/Marylebone increase year on year but it is imperative to ensure our clients pay a reasonable rent for the commercial premises that they let. After some research, we were able to support a considerably reduced rental increase (with evidence supporting such) and submitted a reduced rental increase in our clients favour. As always, rent reviews are not done in a day, but we are confident that the evidence supplied and our commercial agency experience in the area, especially W1 will stand us in good stead to facilitate the correct outcome for our clients. As with all rent reviews, providing excellent evidence of the local market is essential, whether you are acting on behalf of a tenant or a landlord. Back with my “landlord” hat on, final job of the day was to inspect a small office suite which the current landlord is considering letting on Goodge Street for the first time after his current tenant of 20 years has decided to retire. As with inspecting properties for a Schedule of Dilapidations, it is always good practice to be honest and up front with landlords to advise what, if any, works, you feel need to be undertaken to ensure the best rental income for them. Very little works were required on the premise (which is not always the case, especially if the premises have not been put onto the market for some time) and the landlord was happy to listen to our guidance and advice. After a thorough inspection and discussions on the current market trends and new tenants expectations from today’s market, I am happy to say that we agreed terms and I am looking forward to taking the marketing photos after minor redecorations works have been carried out and adding yet another property onto the Davis Brown Commercial Property portfolio. Are you aware of the new legislation brought in this year? Or the government’s new proposals for 2016? Being a Landlord has got a lot harder in 2015 and with new proposals for 2016, it isn’t going to get easier. Davis Brown Chartered Surveyor’s and Estate Agents in W1, London are here to help and we have put together a brief outline of the changes brought in this year. Let’s begin by re-capping over the new legislation brought in over the course of 2015…. The Chancellor announced in his summer budget that the current 10% wear and tear allowance will be scrapped and from April 2016 Landlords will only be able to deduct the costs they actually incur for replacing furnishings, whether the property is furnished, un-unfurnished and part furnished, in their rental properties. The tenant has made a written complaint about the condition of the property or any common parts (N.B. The Act states that the agent and tenant must put the complaint and repair report in writing). The Landlord or their agent has not provided an adequate written response in 14 days or responded by serving a Section 21 Notice. The tenant informs the local authority who serves a Relevant Notice or carries out emergency remedial work. N.B. The Tenant is protected from eviction for six months from the date of service of that notice, regardless of whether they raise the issue with the Landlord first. The Deregulation Act also introduced a number of changes to when a Landlord can serve a Section 21. The good news is that Landlords do not have to specify that the tenancy must end the last day of a periodic tenancy. However, the new rules do specify that a Landlord cannot serve a Section 21 Notice within the first four months of a NEW tenancy. A new template notice must also be used for tenancies that start on or after 1st October 2015. The Government introduced the Smoke and Carbon Monoxide Alarm Regulations (2015) and so from 1st October 2015, Landlords will have to ensure that a smoke alarm is fitted on every floor of their property and install a carbon monoxide alarm in any room where a solid fuel is burnt. It will be the Landlord or their agent’s responsibility to check the alarms work at the start of each new tenancy and also demonstrate this to the tenant. From 1st February 2016 and under Section 22 of the immigration Act 2014 a Landlord is not permitted to authorise an adult to occupy their property unless they have the Right to Rent in the UK. A Landlord or their agent must therefore first establish who will live at the property and obtain, check and copy one or more original documents which demonstrate their Right to Rent in the UK. If the Tenant’s permission to stay in the UK is time limited, you must ensure you make a follow up check. If the follow up check shows the tenant no longer has the right to remain in the UK, the landlord or their agent must report this to the Home Office. What if I don’t comply I hear you say? Well, you could be fined up to a hefty £3,000 per occupier! There is no doubt that the process of letting a property has become an administrative minefield and a Landlord has a lot to prepare before you can even hand the keys over the Tenant. Our agents at Davis Brown are ARLA qualified which means that we continuously keep up to date with new legislation to ensure our clients are protected. We undertake a detailed and lengthy administration process to ensure the right checks and documents are served before the tenancy commences. Our in house property management team specialises in Residential Property Management and if you are not already using our services, why not give us a trial run? Winter is officially here! As daylight hours diminish and temperatures drop, now is the time to start preparing and protecting your vacant property before the cold weather sets in. The threat of damage to vacant property during winter is real and can cost thousands of pounds to repair as well as potentially delaying new occupants from moving in. Davis Brown are Chartered Surveyors, Estate Agents and Commercial Agents in London providing services for both residential property management and commercial property management. We have prepared some simple steps to fight the freeze and prepare vacant property for winter. Darker evenings often result in an increase in crime. Shorter days provide more opportunities for criminals to work under the cover of darkness, often leading to a rise in malicious damage and property insurance claims during the winter months. Remember, you are required by law to inform your insurer immediately when a property becomes vacant. They may have specific requirements to ensure your building is properly covered. Gutters and downpipes can be damaged by frost. If there is a blockage in a downpipe caused by leaves or twigs, the trapped rainwater could crack or shatter the downpipe if it freezes. Blockages can also cause water to spill over and saturate walls causing masonry surfaces to freeze in cold weather and lead to further structural damage. All properties should be cleaned and cleared of rubbish to avoid creating hygiene hazards and prevent pest infestations. Any combustible materials should be removed from the building. Vacant property can become an easy target for vandals, trespassers and squatters and according to the British Security Industry Association (BSIA) prolonged hours of darkness provide the perfect conditions for opportunistic crime. A range of cost effective and innovative solutions can be employed for vacant property security and surveillance ranging from anti-climb paint, alarms, regular inspections and monitoring to manned guards. Mould growth through a lack of heating and ventilation can be a serious problem in winter months. The allergens, irritants and toxins produced by mould can pose a health risk to humans. Professional treatment will keep it at bay and protect properties for the long term. Water damage caused by leaking roofs in the winter months may compromise the rest of your property, and can be particularly hazardous as it may not be noticed for some time until it is too late and serious damage has occurred. The most common causes of a leaking roof are cracked or missing tiles or slates, broken or unsealed flashing, and points where the chimney or vents join with the roof. Additionally, lead flashing has been an increasingly common target for metal thieves so it is recommended to kill two birds with one stone by performing a simple check to prevent water damage and reduce the risk of metal theft. If in doubt, ensure you seek expert help as roof repairs and maintenance can be very dangerous. Windows exposed to the hot sun in the summer and then cold temperatures in the winter can develop cracked seals from the continuous expansion and contraction. This can eventually cause the seals to break, allowing moisture to get between the glass, resulting in a white haze forming between the glass. Additionally, condensation can form on the inside of windows during the winter months, so make sure the window-sills stay dry on the inside as frequent exposure to water can lead to rotting wood. All services such as gas and electricity supplies should be turned off in vacant properties to reduce the risk of gas leaks and potential fire threats. Regular meter readings should be taken to ensure there are no discrepancies with previous tenants, and undertaken on a regular basis to ensure no usage. We hope you enjoy the Christmas period and wish you a successful 2016. If you are interested in using our services, or have a vacant property and wish to instruct Davis Brown Commercial Property Agents in W1, please call us on 020 7637 1066. Davis Brown accepts no liability for the above statements. Who doesn’t love to feel the spirit of Christmas wherever we go at this time of year? Our homes, the office, the streets of London – literally everywhere is sparkling and twinkling with all things pretty and festive! In recent years, restaurants have got in on the festive cheer action too, with some going the whole hog and converting their feasting space into something magical and Christmas-themed. One such example is the Coq D’Argent restaurant near Tower Bridge. For 3 months each year this restaurant turns into the Lodge D’Argent, transforming its wonderful terrace in a stunning apres-ski lodge themed bar, with sheepskin rugs, vintage ski paraphernalia and snowy mountain scenes. So if you’re longing for a vin chaud and tartiflette on the snowy slopes of Mirabel, this could be the next best thing! A little closer to us at Davis Brown estate agents in Fitzrovia, is the Churchill Bar & Terrace at the Hyatt Regency hotel in Portman Square. It has also undergone its annual winter makeover –transforming into an enchanting Narnia-inspired hide away to bring out the inner child in you. Enter through a wardrobe door (of course! ), and snuggle up under a cashmere throw, while indulging in a beverage from the hot chocolate inspired cocktails list! Could it be more cosy?! Other bars who have made the effort to be seasonal are the South Pole Saloon in Brixton, with Christmas-themed sharing cocktails and winter warming grub. The Grotto Outre – is a very different type of experience. Hidden down the alleyways of Shoreditch is a secret and very much adult wonderland – experience it if you dare! 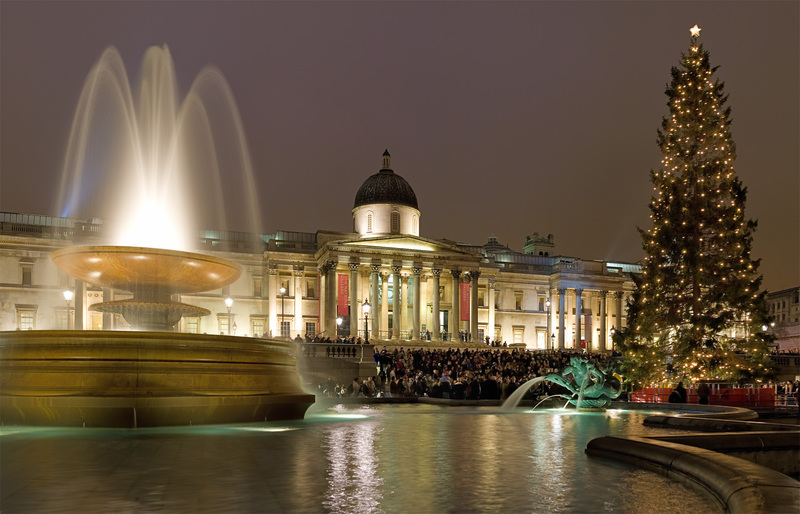 Several Christmas markets are dotted around the capital at this time of the year – South Bank being my most favourite with it’s wonderful backdrop of London iconic buildings. Happy festive feasting! London Area Identities: Our Favourites! London is one of the world’s largest cities, as well as the most populated city in the European Union. Although it is one big city, London can be broken down into different areas, each with their own identity and personality. In total London is made up of 33 boroughs which spread over 35 miles. As estate agents in W1, we know that there is something for everyone – whether you want to be in the heart of the theatres in Covent Garden, or the quiet streets of Bayswater, there’s an area to suit you. Having been estate agents in W1 for many years, we have got to know all of the different areas pretty well, and so we thought we would put together a brief profile of our favourites. A quiet and residential area of London, key to the identity of Bayswater is the long residential streets with white stucco fronted Georgian terraced houses. As estate agents in W1, whenever we think of Bayswater, these beautiful roads are the first thing that comes to mind. With a large variety of schools, parks and property on offer, Bayswater is the epitome of central London living for families. Situated just South of Oxford Street, the area of Soho covers approximately one square mile. With our offices in Fitzrovia, we are often in Soho and it is one of our favourites. Characterised by old converted buildings, and market stalls galore, it is one of London’s more unique areas. Residents are spoilt by variety, with upmarket shops like Liberty, to vintage shops such as Bang Bang. In short, Soho is a diverse, eclectic and exciting area, with a strong community feel. Artsy and utterly charming, Covent Garden is one of the most famous areas of London. Tourists flock here to see the huge selection of shows on offer including the street artists in Covent Garden Square. St Martin’s Theatre for example shows the world’s longest-running production, The Mousetrap. There is also the stunning Royal Opera House, which has been entertaining people for over 200 years, and is also home to the Royal Ballet Company. Full of energy and life, as estate agents in Fitzrovia, we know how popular Covent Garden is to live in. For those that want to be at the forefront of all things West End, Covent Garden is the area for you. With its epicentre, Marylebone Village, voted ‘London’s Favourite Street’, it is impossible not to fall in love with Marylebone. 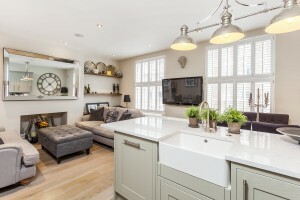 Lots of estate agents have their offices in Marylebone, as there is a wealth of stunning properties on offer from traditional terraced houses to big, period mansion blocks. Identifiable by its luxurious brands, boutiques and cafes, this wonderful area is the place for those looking for a small community feel in the heart of the city. Our home! As estate agents in Fitzrovia, with roots dating back to 1901, this area has to be our favourite. With over 6,500 residents today, Fitzrovia has finally been recognised as an area in itself, as opposed to simply an extension of the West End. Artists and writers alike fell in love with the area, and residents such as Virginia Woolf, John Constable and George Orwell helped to establish the area as a creative and bohemian hub. Characterised by its diverse mixture of new and old, Fitzrovia features quintessentially British establishments such as Pollock’s Toy Museum and the BBC. Streets such as Goodge Street and Charlotte Street are some of the most famous locations within Fitzrovia, and are steeped in history and intrigue, with Blue Plaques dotted everywhere. As estate agents in Fitzrovia, we take a keen interest in the heritage of our home area and we can promise you that there is far more than meets the eye! For more information about property in Bayswater, Soho, Covent Garden, Marylebone or Fitzrovia, contact Davis Brown Estate Agents in W1. Each Christmas everyone seems to have the dilemma of when is appropriate to put up their tree. We here at Davis Brown Chartered Surveyors and Estate Agents in Fitzrovia got in the Christmas spirit early and our tree was up and looking pretty at the end of November – I know, I know… However delightful our little tree is, the most celebrated of all the Christmas trees in London – without argument, is the soaring Norwegian spruce in Trafalgar Square. Ever thought about the origins of this magnificent tree? Well if you didn’t know, let me enlighten you – the story behind it is a story of friendship and solidarity between two countries. A yearly gift from the city of Oslo to the city of Westminster, it was first given in 1947 to commemorate the British support for Norway during the Second World War. The ceremony during the felling of the tree has also been a tradition for many a year. A few English school children join several groups of Norwegian school children in a silent forest just outside Oslo. Everyone is drinking and eating, holding hands and singing while the tree is felled. The tree is a “she” and she’s usually around 45 years old and 30 feet tall. She’s is not left to fall but respectfully lifted skywards by a crane, and the journey to London begins. Erected on 1st December, the Queen of the Forest (as she is known) comes to life again as the hundreds of white lights adorning it are switched on. Well worth a visit over the Christmas period.